Calculating your adjusted cost base (ACB) is necessary to determine the true cost of your investments for capital gains and losses. If you want a good idea of what kind of returns you are really getting, you need to figure out your adjusted cost base. And, perhaps more importantly, the CRA requires this calculation to be used for income taxes in relation to capital gains and losses. If you want to make sure you stay in the good books with the CRA, you need to make sure you understand how to perform this calculation. An adjusted cost base, sometimes referred to as the adjusted cost basis, is used to measure the true cost of an asset, in turn making it possible to calculate the capital gain or loss for income tax purposes, when the asset is sold. The ACB includes the purchase price of an investment, as well as any additional expenses that are incurred to acquire and own the asset. When the asset is sold, the capital gain is determined by subtracting the adjusted cost base from the sale price of the asset. Most non-registered investments require an adjusted cost base calculation. This could include a rental property owned by an individual investor, commercial real estate, or the sale of securities such as stocks and bonds. Registered investments, such as funds held inside of an RRSP or TFSA account, do not require an ACB calculation as they are tax sheltered, and don’t incur capital gains. The ACB can apply to any asset, including real estate. Let’s say a company purchases a commercial property for $500,000, and they make improvements to the property of $200,000. The ACB of the property would be $700,000. This is the figure that would be used to calculate the capital gain (or loss) when the property is eventually sold. If an individual were to purchase a rental property, they would also need to consider the adjusted cost base in order to determine the capital gain or loss when they sell. It’s important to note that not all expenses can be added to the adjusted cost base. For example, costs that are incurred to maintain the ongoing operation of a building, such heating and electricity, are not considered part of the adjusted cost base. In addition to real estate, the Canada Revenue Agency requires that capital gains be paid on equity investments, such as stocks, mutual funds and ETFs. Even if you seek out a tax professional for advice (highly recommended), it’s important to understand how these capital gains are calculated on your investments, using the adjusted cost base. To illustrate, let’s look at a simple scenario, using the purchase and sale of company shares. The adjusted cost base is calculated by adding in the price you paid to purchase all of your investments into a certain stock or mutual fund. When you consider your ACB, you also need to make sure that you are including any reinvested distributions, as well as any commissions or fees incurred to purchase that stock or mutual fund. You want to make sure that all of your costs are represented. Your total cost is then divided by the total number of shares or units you own. For example, say you buy 500 shares in a company for $15 each. Later, the stock price falls so you decide to buy 200 more shares in that company at $12 each. You also have to pay a commission of $20 for each transaction. 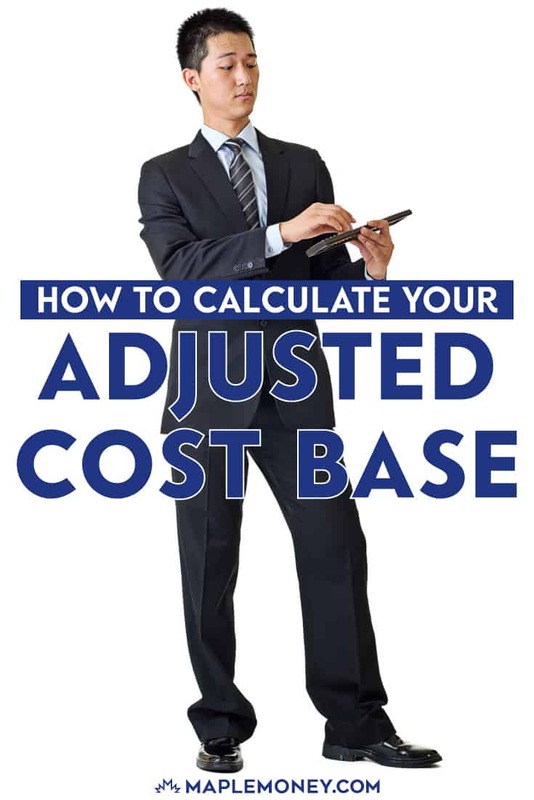 In this example, your adjusted cost base is $14.20. Capital gains or capital losses are then simply calculated as the difference between the ACB and the sale price minus commissions. As you can see, you have a capital gain of $60. That is the amount on which the CRA will tax you. Now you have a capital loss of $140. You can use that loss to offset capital gains you might have, lowering your investment income for tax purposes. If you’re using the ACB to calculate the capital gain on an investment held in foreign currency, you must convert the figures to Canadian dollars in order to determine your capital gain. Keep in mind, you cannot use the same exchange rate to convert the different components of the transaction. For example, to convert the purchase and sale prices of shares in a foreign company, you must use the exchange rate from their respective trade dates. When converting the ACB amount, you must use the exchange rate on the day the investment was acquired. Lowering the cost of commissions is a good way to improve your adjusted cost base, which will help to improve the eventual yield on a security when it is sold. Using a discount online broker will help, as this tends to be the most cost efficient way to purchase securities. While there are many discount brokers to choose from, my top choice for 2018 is Questrade, and low fees are a big reason why. For starters, their basic trading fee starts at $4.95, which is the lowest in the industry. Questrade also offers no-fees on the purchase of ETFs (exchange traded funds). While there are a couple of online brokers advertising no-fee ETFs, their fund selection is limited and they require that you purchase ETF units in larger quantities, i.e. blocks of 100. Calculating your adjusted cost base is not only mandated by the CRA, it’s also useful for tracking your investments and understanding your real investment returns. When you know the adjusted cost base per share, it allows you to make far more meaningful comparisons to the current prices in the market.  You did not mention ROC (Return on Capital) that some stock pay back yearly thus reducing your Cost. Good point Lucien, ROC will reduce your ACB and you will have a higher taxable capital gain because of this. Thanks for pointing that out! There is a site that provides ACB calculations that take into account ROC which reduce the ACB as well as Phantom distributions which add to the ACB. Take a look at www.acbtracking.ca . They specialize in calculating ACBs for ETFs, REITs, Closed-end Funds, and Income Trusts. When a stock pays a dividend (part of it being ROC (Rtn of Cap) and part of it being Capital Gain), does the Capital Gain also affect our Adjusted Cost Base? Assuming so (because we are paying capital gains tax on that portion), should we add the capital gain to our original cost? Yes, if you received a T3 or T5 which shows a internal capital gain paid in an ETF or mutual fund, then you should ensure that your brokerage added the capital gain to your per share cost base. That’s the first I’ve heard of Cap Gain Divs affecting ACB. It seems logical but I couldn’t find any reference to it on CRA’s website. Do you have a link to this info on CRA’s site? When a stock is transferred out of an RRSP What value is to be used for the ACB? The original purchase price or the transfer out value? Do you mean that a stock was transferred out of an RRSP and then later sold? I’m not positive, but I would think it would be the value when transferred since it’s basically considered a sale and purchase at that time? Using your ACB example above, what would be the new ACB per share on the 500 remaining shares (500+200-100-100)? And how does one make this calculation? Alot of examples of ACB’s online show you step by step how to get to an adjusted cost base number, but none talk about whether you are supposed to be adding the number of all shares including the current year or just up to the tax year you are trying to calculate for? I’m likely guessing that you don’t include any current year shares in total since they would skew capital gain/loss. What about reverse splits?? How do you handle these? Can I also assume that the stock example above is displaying two purchases made on the same day? @Plain Jane: Mutual Funds have 2 sources of capital gains. 1. Internal – These are the result of trading within the account by the fund managers. These gains are reinvested. You simply transfer the amounts from each box on your T3 or T5 slips on your tax return. Use a spreadsheet to adjust the ACB every year you own the security. Are there any computer applications that provide for inputting data relative to mutual fund monthly dividends received and return on capital to compute the calculations to arrive at the adjusted cost basis when sell ing these mutual funds. First, your numbers don’t add up. Your example shows the correct $ figure BUT not the correct addition of number of shares. (702) Average cost is then 14.16 but confidence in analysis is undermined. Second no site I can find mentions the impact of ‘reinvested dividends’ (used to purchase additional shares) on adjusted cost basis. 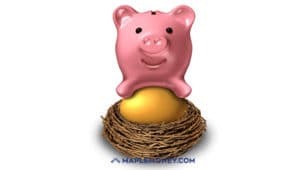 Since tax has been paid on dividends received over the years real capital gains should be only the change in the initial investment amount – with all reinvested dividends subtracted. Sorry. the missing $40 is transaction costs.My first point is in error. Second question still remains: reinvested dividends over the years.DRIPS or dividend reinvestment plans. On the topic of re-investing dividends: it’s really no different than investing in additional shares using funds that were not initially dividends. Your ACB is calculated by dividing the total number of shares now held by the total cost of acquiring those shares – including commissions [though there usually arent’ commission costs fro DRIP’s]. The acquiring cost is simply increased by the dividends used to buy the additional shares. I am selling a home I lived in for 9 years and rented for 10 years after that. How do I calculate the ACB for the home when calculating capital gains. and I’m selling ONLY the shares purchased at TD Waterhouse. Do I still calculate the average cost including the shares purchased through HSBC, even though I’m not selling them? hypothetically speaking, how would it be possible to increase my ACB of common shares from $100 to $400,000 over the course of 5 years? If you hold shares in a REIT on the declaration date and then sell ALL the units before the distribution date, are all of the funds received on that last distribution date a Capital Gain regardless of how the T3 broke out the distributions for the year, i.e. ROC, CG, Foreign Non-business income or is the status of the distribution set at the declaration date and then treated per the T3? Is it the same for receiving an eligible dividend after having sold all the shares? What happens if you reinvest dividends for 10 years and then decide to sell the shares purchased only in last year in which you reinvested the dividends. For example you purchased 100 shares in the last year at a cost of $10 per share and sold them for $12 per share. Wouldn’t your cost be considered only based on the last year’s purchases? In this case the cost is 100 x 10 = $1000. If you averaged with the shares purchased in the previous 9 years the average cost could be much higher and hence the capital gains would be much higher. Proposed to borrow 150K for investing (Home as security for the loan). The funds would be non-registered and put into the stock market. Say in the future over a 5 year period it losses (Drastically) half. There should be no capital gains on this account correct?